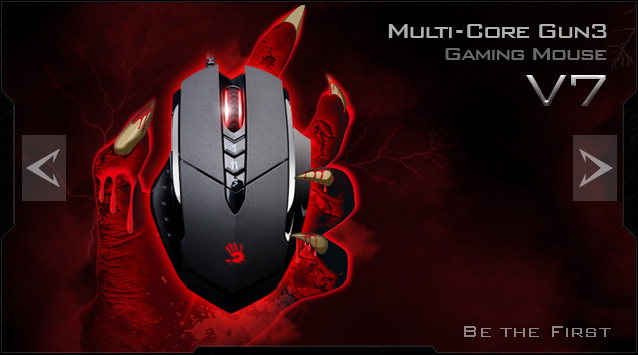 Sethioz Industries Official Blog: Bloody Gun3 Mouse - is it safe to use in games? I decided to try out this mouse as i've heard lot of stuff about it, that it gives you a nice edge in fps games. Well .. it does, if you work on it enough, it can eliminate recoil on specific gun. I tried this in CS:GO (counter-strike global offensive) and 2-3 shot burst are amazing, all 2-3 bullets go exactly in same place. Full auto fire randomly spreads, so its bit difficult to eliminate full spread, but it will eliminate recoil. I will make some videos later. Is it safe? Will i get banned? NO, this is 100% safe to use. Mouse has it's own memory / cores and all the settings will be stored in mouse, if you plug this mouse into another PC, then everything will work. Meaning that you only need software to program the mouse and then you can exit the program and play games. I recommend keeping software closed whenever you play. Mouse itself is really smooth and feels nice. I highly recommend this mouse, it's cheap and good. I honestly did not expect such good quality out of this mouse.